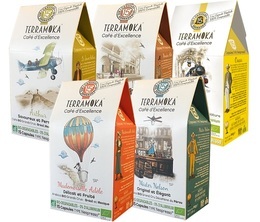 TerraMoka is a French coffee-roaster committed to producing good coffee and protecting the environment. TerraMoka coffees are freshly artisanally roasted. It offers Nespresso compatible capsules, 100% biodegradable with 0% aluminium. The company also produces coffee beans and ground coffee.